Dropbox Pro users just got way more storage for the same price. The file-sharing service now gives you 1TB of storage for $10 a month instead of 100GB. This isn't a casual price cut; that's a 90 percent price reduction per gigabyte. Dropbox likely did it to stay competitive with Microsoft OneDrive and Google Drive, since Microsoft and Google already offered a terabyte of storage at that price. As Wired pointed out, price is a secondary concern to what the products can do. And Dropbox knows that. It's not called Dumbass Box. It's a smart company; along with the price cut, Dropbox announced new features for Pro, like a view-only option for shared files (v. good for when you want someone to see something but you don't want them to mess with it), expiration dates for shared files, and a password protection option. If you're an Apple user thinking of just using iCloud for everything, this price cut might win you over — Apple announced some very Dropbox-y features for its iCloud Drive, but it'll be hard to rationalize spending way more money on iCloud for the same thing you can get on Dropbox for (now) a better price. 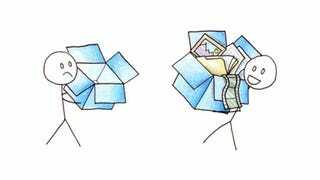 Introducing new features is just as important as getting its prices in line with big rivals, and while this price slash probably corroded the souls of whoever tallies Dropbox profits, it was a necessary step to stay competitive in the storage wars. And as with any good pricing battle, the ultimate winner is you.